The Microsoft 98-349 exam is an extremely helpful test as it can open many doors for you. The exam revolves around Windows Operating System Fundamentals and is associated with the Microsoft Technology Associate (MTA) certification. It is one of several tests that authenticates the fundamental knowledge that you should have in order to build a career in the field. The 98-349 certification exam is aimed at high school students and those who have attended two-year colleges. If you are a high school graduate, then by taking this MTA exam, you can create a lot of opportunities for yourself. However, if you wish to take this test, then it is recommended that you have a little experience in working with technology. The 98-349 exam is pretty straightforward and the questions are mainly given in a multiple-choice format. The number of questions can vary every time because Microsoft does not specify this. However, the test mostly has around 30 to 50 questions. You will have to answer all of them within 50 minutes and a minimum of 70 questions is required in order to pass this certification exam. No points are deducted for incorrect answers and there is no harm if you guess a few answers. Some questions in the exam ask the student to choose more than one answer, in such a case you will have to choose the exact number of answers as the question asks. One thing to keep in mind is that some of the questions in this MTA test might not have any weight in the final calculation of your marks. If you fail to pass the exam on the first try, then there is no waiting time and you can give the test a second try whenever you want. However, if you do not get a passing score the second time, then you will have to wait 14 days before you can give the 98-349 exam for the third time. After that, a 14-day waiting period will be set for every time you want to retake the test. If you have passed the exam once, then you are not allowed to retake it. This is the first lesson that is part of the https://www.prepaway.com/98-349-exam.html exam and mainly revolves around the desktop settings, control panel, native Windows applications, etc. In the first activity, you will have to configure certain control panel options. You will have to use the control panel to change accessibility options and configure administrative tools. In the next activity, you will have to configure the desktop settings, including profiles, display settings, gadgets, shortcuts, and more. You will learn about native Windows applications and tools. You will also get a deep understanding of remote management. Managing applications is the name of the next lesson and it emphasizes application installations, malicious software, and application virtualization. Through this lesson, you will learn about application installation and also how to remove malicious software. The 98-349 exam is a highly detailed test and there are many things that it covers. The next lesson is managing files and folders; it is kind of the main one. 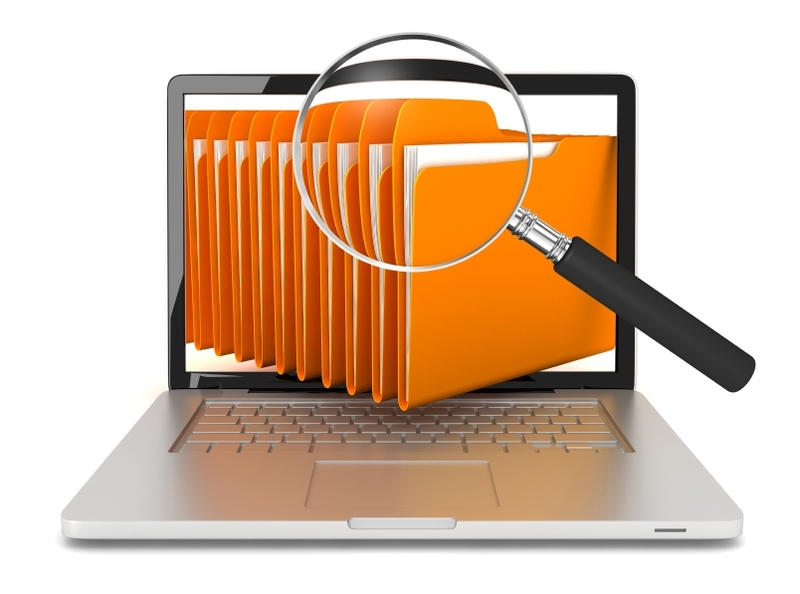 In this lesson, you will learn everything about file and print sharing, file systems, libraries, and encryption. Managing devices is a very simple lesson as you only need to understand how devices work, the devices include storage, printers and any other device that you can connect to a computer. An operating system is a complex system and it is really fascinating to learn how it handles all the problems that it encounters. The last lesson that will help you during your 98-349 exam is operating system maintenance. This lesson emphasizes maintenance tools, updates and backup, and recovery. The Microsoft 98-349 exam is the first step that you need to take if you want to get some recognition in the IT field. This MTA certification is the entry point that will help you in the later years if you choose IT as your career field. If you take this test, then you will come one step closer to becoming a Microsoft Certified Technology Specialist (MCTS). 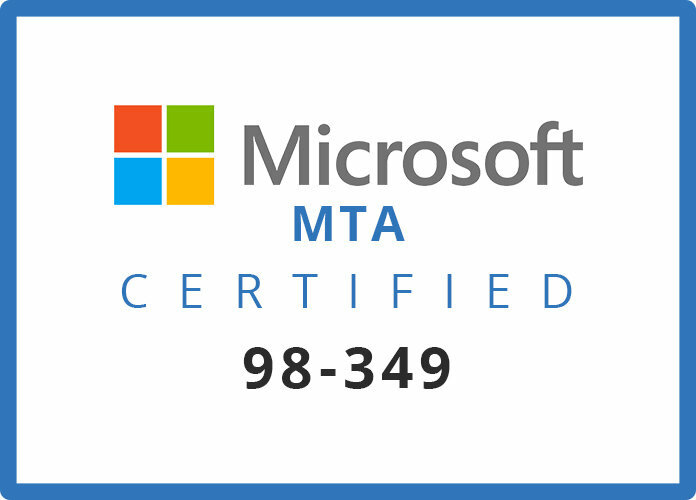 If you earn this MTA credential, then you will become a member of the Microsoft Certified Professional community. By becoming a member of this community you will get many benefits such as private newsgroups, MCP transcript tool, and other special offers. Currently, the 98-349 certification test is only available to the students through institutions that have purchased an MTA campus license. If you are looking forward to giving this exam, then do not be disappointed if you are unable to ace it on the first try. Instead, take your time and consider each try as an experience to learn from. The Microsoft 98-349 exam is an entry-level test that can help you choose a career path in the computer field. After passing this exam, you can easily apply for other certifications that can authenticate your skills. We hope that you found this article helpful and that you understand the importance of this Microsoft MTA exam. Since this is an entry-level test, it is not very difficult and even if you do not pass it the first attempt, you can retake it as many times as you want.